Join us on a five-day journey through Cape Town, learning how Africa is solving some of the world’s most pressing problems, and having fun at the same time! Since 1994 and the advent of democracy, South Africa has been a beacon of hope around the world for the rebirth of a nation and the healing of divisions. Cape Town has been and remains one of the centres of that renewal: join us on a five-day trip, learning from community leaders across Cape Town’s most sustainable and ethical projects, whilst also enjoying the amazing sights, sounds and activities of Cape Town. Each day of your five days will be split between learning about South Africa’s solutions to global problems in the morning and then taking part in exciting fun-filled activities in the afternoon. All suppliers for accommodation, activities, transport and guides are all 100% Fair Trade suppliers meaning all your payment goes directly to where it’s needed most and supports ethical and responsible tourism. 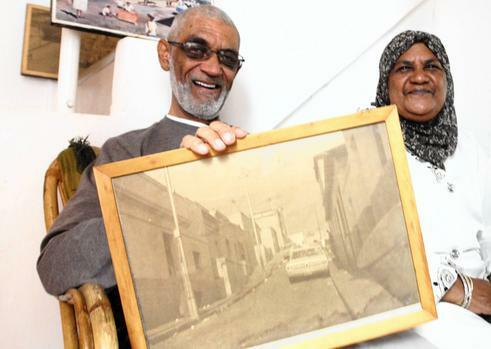 You’ll be collected from your accommodation by your guide, Chris Hannival, at 09h00 and taken to the site of forced removal that is District Six. From 1968 onwards, the apartheid government started to physically remove the residents of this area of the city bowl in Cape Town and raze the buildings in the area to the ground. Chris grew up in this area and can remember coming home from school to find families and buildings gone that were still there when he left for school. Now District Six is being rebuilt, but the process is very long and complex for reasons you’ll discover on the tour. You’ll meet residents who have been rehoused in the area and you’ll also get a chance to enter into some of the buildings that survived the destruction, most notably St. Mark’s Church which was a site of resistance and The Fugard Theatre. The tour ends at the District Six Musuem on Buitenkant Street where Chris will give you his own perspective on the exhibition. The tour is in total 4 hours long and afterwards, there is an opportunity to get lunch at The Book Lounge which has a superb café in the basement. Today you’ll have a choice of either a hike up Table Mountain or a paraglide from Signal Hill. 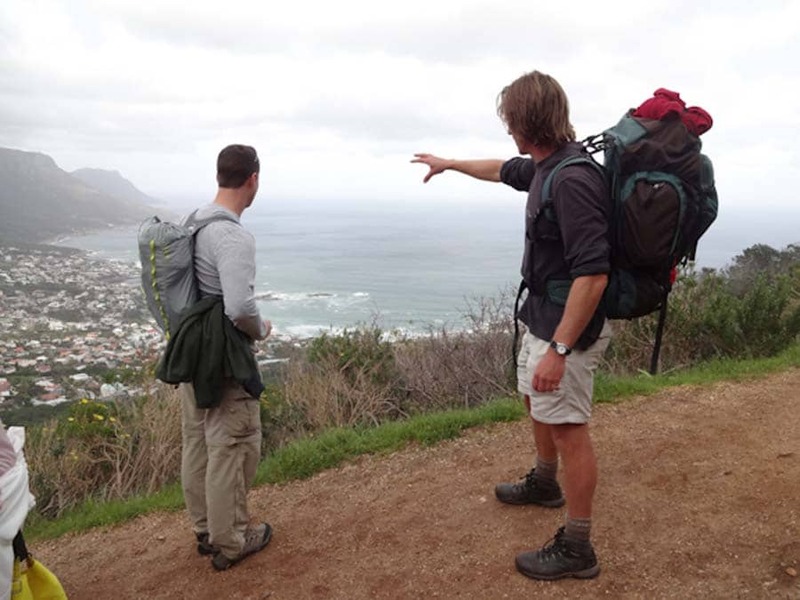 Dominic Chadbon, otherwise known as ‘The Fynbos Guy’ is a passionate activist for the conservation of the indigenous vegetation of Table Mountain National Park and will show you the mountain from the perspective of its flora and fauna. The hike can be challenging, going up the side of the mountain through the Valley of the Red Gods, or much more sedate, taking the cablecar to the top and walking along the relatively flat summit. 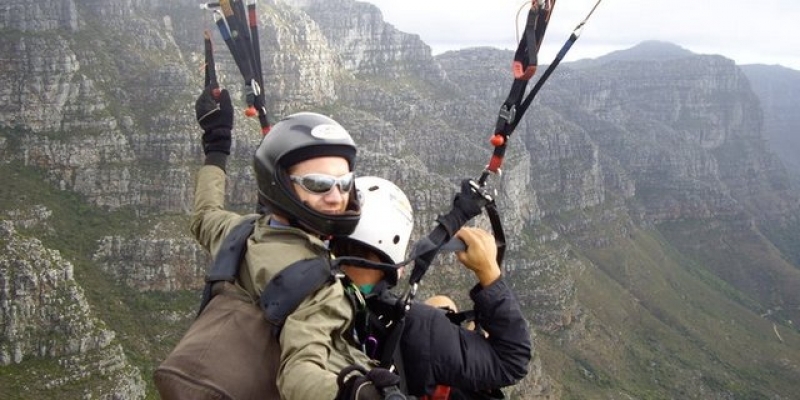 Jan de Jager started the original paragliding company in Cape Town, Para-Taxi, over 15 years ago. He offers you an amazing experience of flying from Signal Hill over the western side of the city, landing on a specially-demarcated landing strip on the sea front promenade, which just happens to be right opposite Harvey’s, Cape Town’s premier cocktail bar with a perfect sunset view! You’ll be collected from your accommodation by your guide, Khonaye Tuswa, and taken to the Zama Dance School in Gugulethu. Khonaye is a resident of the area and will take you to some lesser-known places on the way to the school. The performing arts receive little to no funding in South Africa, yet many of our artists have achieved world-renown. Today you’ll get a chance to see first-hand how this miracle is made possible. You’ll meet the founder of the Zama school and teachers, as well as get to see a dance class taking place and get a tour of school. Following on from that, you’ll meet Langa’s most famous playwright, Fatima Dike who will take you on a tour of the Gugu S’Thebe Arts and Culture Centre, a building that is fascinating in its own right both from an architectural and social activism perspective. Your morning ends with a lunch at the Mzansi Restaurant in the district of Langa. After chance to catch your breath at your accommodation, you’ll be collected again around 15h00 for a guided cycle tour: depending on your fitness level and spirit of adventure you can opt for a 4km ride along the Seapoint Promenade, a 7km ride through the Old Town or 20km ride along the Atlantic Seaboard to Hout Bay. There is also an e-bike option if you’d prefer. We’ll be taking a trip to the Cape Winelands today which is a large area that almost completely surrounds Cape Town and the Peninsula. As a region, it’s stunningly beautiful with high mountain passes giving way to fertile, seemingly endless valleys below. No wonder early settlers established the pretty towns and villages dotted across this landscape and made it their home. The land in the Western Cape is among the most fertile in the country and as such agriculture, particularly viticulture, is the mainstay of the local economy. However, the land issue (i.e. who owns the land, who lives on it, who benefits from its fruits, who controls the distribution of resources) is a long-standing bone of contention in the Cape. Some progressive land owners have taken it upon themselves to look for ways to make land ownership/farm management more equitable and others have looked for ways to make the farming process itself more environmentally sustainable. You’ll start your tour with a visit to Reyneke Wines, a family-run estate that’s pioneered ‘biodynamic viticulture’ in the Stellenbosch region. 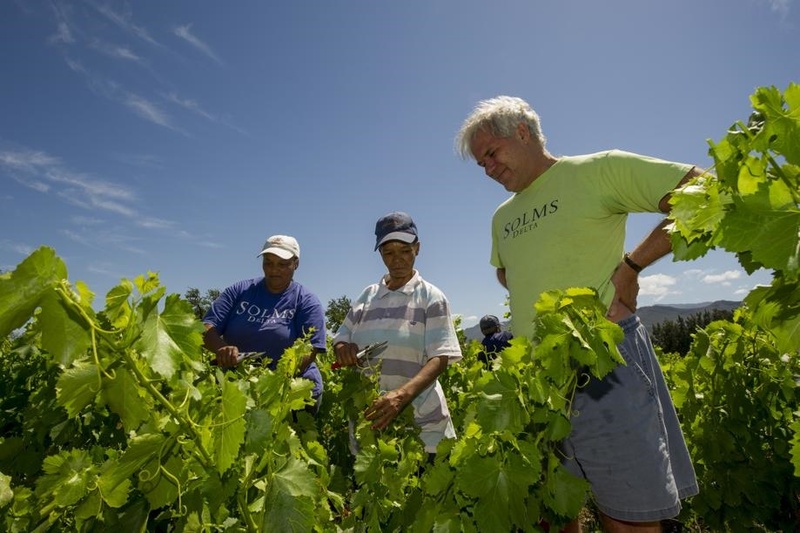 You’ll then have a chance to visit Solms Delta wine estate in the Franschhoek region which is famous for being the first wine estate to divide the ownership, profits and management of the farm equitably between its owners and workers and have lunch at their Fyndraai Restaurant. Your guide for the day is Chris Hannival, a former resident of District Six, who was evicted as a child from land he and his family had lived on for generations. 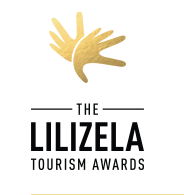 Have a look at our website for more ideas for your Cape Town trip, all using ethical, sustainable and local organistions and businesses. After lunch, we’ll take you down to the False Bay coastline to meet the team at Dyer Island Cruises. This ethical and sustainable company works with marine wildlife, most notably penguins, whales and sharks. You’ll be taken on a whale watching trip (weather dependent) or a visit to the penguin and seabird sanctuary if weather is unclement. With the advent of democracy in South Africa, much was made in 1994 of the concept of ‘The Rainbow Nation’ and the slogan ‘unity in our diversity’. Whilst in principle this did create the foundations of inclusive nation-building, one key group, that of the San or Bushmen, was completely left out of the process. Today you’ll be personally led around one of the earliest sites (in fact perhaps the earliest extant site) of forced removal and the erosion of cultural identity by Ron Martin, himself a member of the San community and a social activist for the rights of San people across the country. 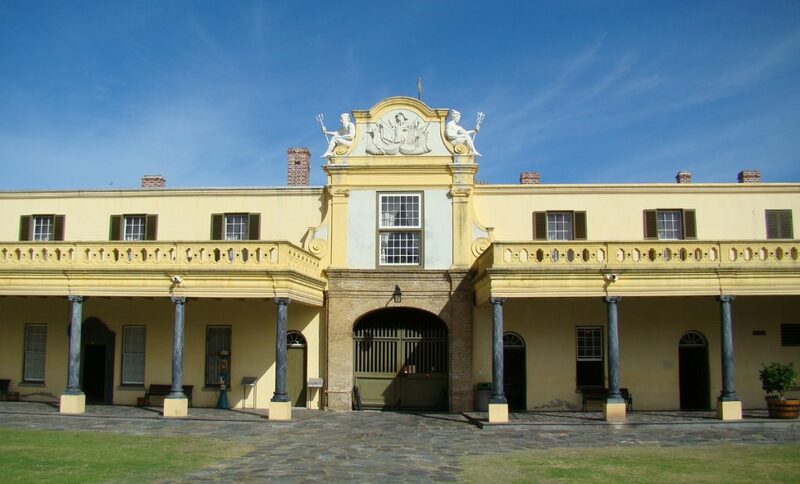 This site is the Castle of Good Hope, originally the site of settlement of the Goringhaiqua people, who were removed from the land by then Dutch East India Company envoy Isbrand Goske and the precursor to the castle you see today was built (in fact a wooden military fort). You’ll learn about the voyages of ‘discovery’ that occurred around this time and how much of the early history of colonisation of South Africa centred around the castle. You’ll hear more about how slowly the identity of the ‘first people’ of South Africa is being rebuilt using the Castle now as a beacon of hope and future. The tour ends with lunch at the Castle Café, which is a black-owned enterprise located within the castle walls. Cape Town is a hive of creative activity and outpouring: it was recently shown that the creative industries (which represent everything from fine art to advertising to web design) contribute over 4% to national GDP in South Africa and that at least 80% of that creativity emanates from Cape Town and surrounds. This afternoon, you’ll be taken through one of the most up-and-coming areas of the city, Woodstock and Salt River, with Coffeebeans Routes. You’ll visit public art installations and local small-scale galleries and afterwards get a chance to shop and browse through the myriad producers of everything from hand-made shoes to organic coffee roasters. Your last afternoon is yours to spend as you decide, perhaps browsing the sights and shops of the Old Town (just a short walk down the hill from the Bo Kaap). In the evening at 18h00, you’ll be collected from your accommodation by Coffeebeans Routes and taken on a Jazz Safari: you’ll get a chance to interact with local musicians from the Cape Town diaspora whilst also enjoying a dinner at the home of a local musician. Afterwards, there’s a visit to a jazz performance at one of Cape Town’s jazz clubs. 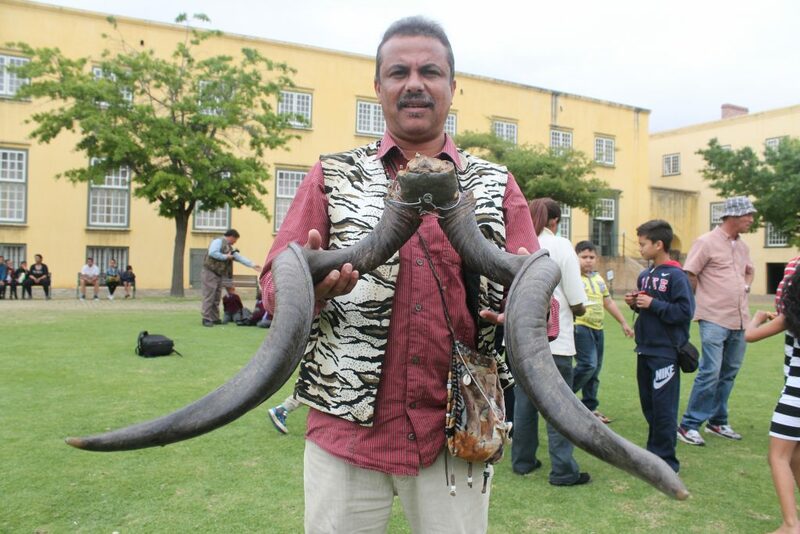 Today you’ll be guided through a flagship primary school in central Cape Town, St. Paul’s Primary, located in the Bo Kaap, formally the Muslim area of Cape Town but these days home to a wide variety of people from all walks of life. You’ll be taken through the school by Kelly Harding, herself an educational professional of long standing who has taught and trained teachers in Cape Town most of her career. 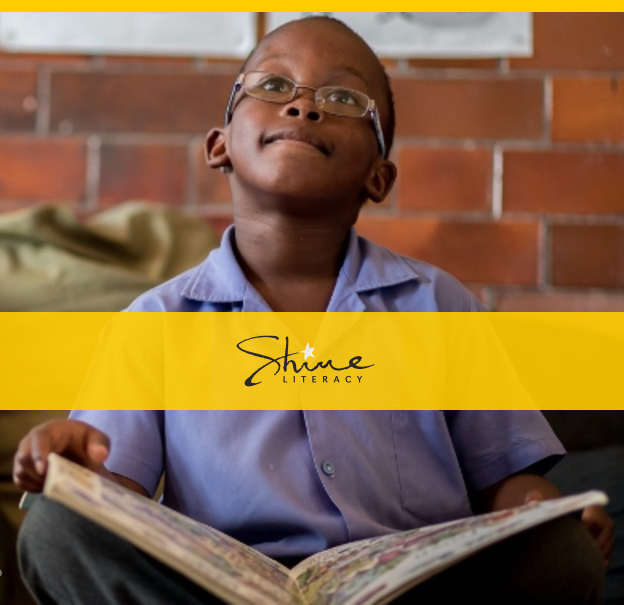 You’ll get a chance to view the work of one of the Shine Centres, a literacy foundation that works within primary schools across Cape Town on a permanent basis, acting as a literacy safety net for those children whose reading ages fall behind the mainstream classes. You’ll get a chance to talk to Nomawethu Nika, the Shine Centre manager at St. Pauls about her work there and the challenges the pupils, teachers and volunteers face in democratising education. We’ll stop for lunch at the Bo Kaap Kombuis, a local family-owned restaurant just a few streets away from St. Pauls where you’ll be able to enjoy some Cape Malay cuisine with a view over the city.